This is not a dirge on the death of the laptop or an announcement of the discovery of a new “killer app” or stepping-stone technology. It’s the story of cream-of-the-crop tools and resources that are making online trading an exciting and holistic experience for newbies and aspiring traders. Not very long ago, you would pick up a phone and call your broker to place an order. The broker, in turn, would call the trader on the floor who would find a matching trade. By the time your order was filled and executed, the price would have changed dramatically. You would have probably not known this since you would not have had access to live data feed. However, today, retail investors can access technology that was once the preserve of only the institutional investors. Fast computers, all-electronic markets, and direct-access trading have created a level playing field, democratizing the markets and opening them up to all kinds of investors. The desktop computer was the primary tool of trading until recently. The advent of the laptop rendered the desktop redundant and, even as the desktop gradually disappeared, a new device, the ubiquitous smartphone, made its appearance and changed the face of trading. An example of the dramatic shift from desktop to mobile is nowhere more apparent than in the fact that more visitors access Facebook every day via their mobile devices than with their PCs. A view of multiple markets and trading charts improved situational awareness and allowed investors to make precise and astute trading decisions. However, global macroeconomic changes following the global financial crisis saw the emergence of new trading instruments such as Contracts for Difference (CFDs). The CFD market opened up new avenues of investment and attracted investor interest, making it possible to trade in a variety of other markets such as commodities and forex. Technology further helped the CFD market to thrive and expand. It is against this backdrop that we look at the tools, technologies, gadgets, and devices that are redefining online trading and pushing the envelope. We are today in the era of Artificial Intelligence (AI) and blockchain, which are redefining the realms of trading in the new millennium. It’s no more astonishing that you can trade hundreds of millions of dollars from the same smartphone from which you hire an Uber or order a pizza on a lazy Sunday morning, thanks to changing perceptions of security and the comfort of mobile trading apps. A JP Morgan Chase survey shows that more than 61% of the 400 responding traders are extremely likely to use a mobile trading app in 2018, up from 31% a year ago. With changes in security standards and increased application of biometric security that include facial recognition and fingerprint readers on devices such as the iPhone X, large-scale mobile trading has increased rapidly. The largest documented transaction so far, as reported by Bloomberg, was a $400 million forex transaction. Robust features and reliable technologies are driving this change, which is happening all around us every day. Encryption devices are strengthening security and WiFi dongles ensure that you have access to your private network everywhere. Furthermore, power banks and portable power batteries provide battery backup, ensuring that you will never run out of battery while executing a trade. It is not just the iPhone X or other smartphones that are leading us into a new generation. Another product from the Apple stable, the Apple Watch, could soon turn into a must-have. When the tablet came, people thought of it as a larger iPhone. However, over time, the trading community found real value in using it to offer immersive content for research. 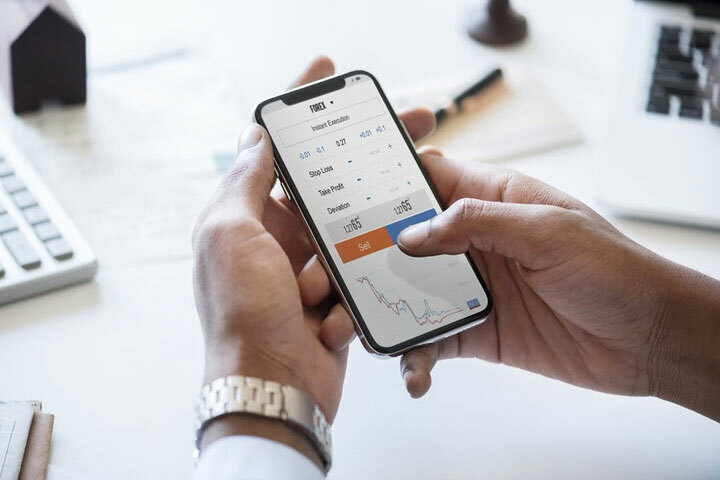 Similarly, the Apple Watch, which can serve as a notification device for the markets or news headlines, could well provide value in monitoring the markets on your wrist and become a mainstay. A decade ago, people perhaps tolerated the significant lapse in time in placing and executing an order. However, today’s aspiring traders and newbies are millennials, a generation that has come of age with cable TV, the internet, and smartphones. Technology is essentially baked into every millennial’s DNA. For this generation, speed is the essence. Fintech has helped in cutting the distance and time between investment, research, and action. Thus, today’s aspiring millennial traders would no longer face the challenge of remembering a stock after watching CNN or reading an article on their smartphone. A plug-in browser lets them act right away, making an idea actionable.